Since December is probably the month in which the most chocolate is consumed, I could not resist doing a tip on Chocolate as I wrap up this series of 52 Weeks to Better Nutrition and a New You. Unfortunately, most people eat too much of the wrong kind of chocolate, which is obviously not good for your health, performance or body composition. However, I (and I assume many other nutrition nuts) avoided chocolate entirely for years because I thought it was bad for me. However, the more I learned about nutrition, the more I realized I should be consuming the right type of chocolate. "And stay tuned after the break; scientists have discovered that chocolate is actually good for you!" "And stay tuned after the break; scientists have discovered that broccoli is actually be good for you!" However, that being said, there are some tremendous health benefits to chocolate, provided you eat the right type of chocolate. 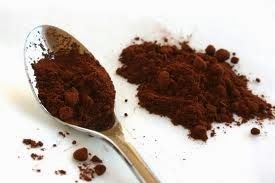 100 g of cocoa-rich chocolate reduces the risk of cardiovascular disease (the number one killer in North America) by 21%. Cocoa contains flavonoids (which are also found in foods such as cranberries, apples, strawberries, onions and tea) that helps protect against environmental toxins. Cocoa contains flavanols which prevent fat like substances in the blood stream from clogging the arteries thus reducing the risk of heart attack and stroke. Coca flavanols also modulate nitric oxide which is critical for blood flow and healthy blood pressure. (note: nitric oxide is also commonly used to improve improve blood flow to the muscle during training). 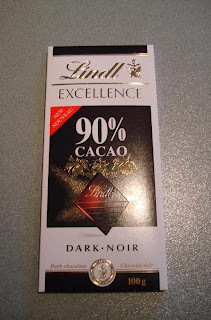 While the cocoa part of chocolate is very healthy, often the other things added to the chocolate bar are not. Avoid milk chocolate as it contains lots of milk fats and and a relatively low amount of cocoa. Also, cheaper chocolate bars are often loaded with all sorts of other unhealthy ingredients (e.g. caramel as well as waxes and preservatives. Then, of course you have the sugar issue which of course is not good for your health, performance or body composition. Chocolate can be a VERY addicting food. If you know that when you start eating chocolate, you do not stop, then it may be better to avoid it and simply emphasize other super foods in your diet. For a healthy treat, consider getting some dark chocolate. Shoot for at least 70% (I personally prefer 90% to maximize the cocoa and minimize the sugar). Another great and even healthier option is just to add some cocoa powder to a power shake. I personally prefer this option over the chocolate bars as it allows me to get all the health benefits without any of the sugar. Enjoy! Week 44: Should You Count Calories?